All of the Western states now entertain bills to take the public lands from the United States and give, transfer or take them for the individual states. Some Republicans in Congress are trying to get the proposed redistribution of land going by means of the annual budget process. This is happening despite increased support by the general public for keeping the U.S. public lands safe for all Americans. Most Western states have had rallies and demonstrations in their state capitols to keep the public lands, federal. This includes those recently in Colorado and New Mexico. Public opinion polls continue to show that support for keeping the public lands in hands of all Americans is popular. Public opinion surveys say that voters are suspicious that the proposed land transfer will result in privatization of national forests, etc., into the hands of multinational corporations and the billionaires. Montana is an exception to the recent legislative movement toward state ownership (see, “Montana study of federal-lands transfer dies in committee“). However, in adjacent Wyoming bills to study a land transfer or to demand it are moving through the legislature. Wyoming seems to be the Western state where the public gives the least support for keeping the public lands. Nonetheless, in Wyoming a majority (54%) believe that the public lands are places that belong to the country as a whole, while 37% say these lands belong mostly to the people of Wyoming. In Arizona where this figure is 71 to 22%, a bill by Republicans Brenda Barton of Payson and Bob Thorpe of Flagstaff (House Bill 2321) tells the federal government to hand over all the public lands in Arizona to the state before 2020. Thorp’s House Bill 2176 mandates the turnover of U.S. public lands that “do not serve a purpose outlined in the U.S. Constitution.” Of course, the Constitution is silent on this because at the time it was written there was no concept of a national park or state park, national forest or state forest. Despite the silence, the Constitution does provide a clear power to own and manage public lands in the “Property Clause” (Article 4, clause 2). These bills are awaiting a vote in the full Arizona House. Despite efforts in some state legislatures saying that lands obtained from the federal government would not be sold to the highest bidder, these two Arizona legislators clearly do see public land sales as a way of raising money. They have a long record of saying so, dating back to the battle over proposition 120 in 2012 (see below). Back in 2012 in Arizona, the voters were given a clear choice whether to demand the U.S. lands for Arizona in a ballot initiative. The ballot initiative (prop 120) lost 68 to 32%. This ballot measure is the most obvious test to date of the idea the states should own the federal lands. Earlier, then-governor of Arizona, Jan Brewer, vetoed legislation similar to the ballot initiative. 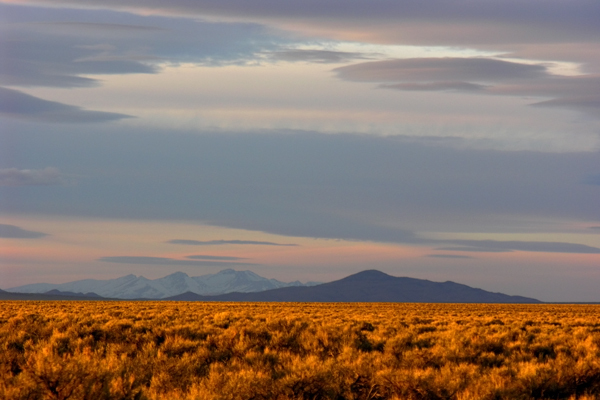 In Nevada, the controversy was spurred by a committee of Nevada county officials (the “task force”) which concluded that a transfer of 4 million acres of BLM land would, on the basis of looking at state lands in 4 other states, raise from $31 million to $114 million a year. No word on what they would cost to administer. The 4-million acres was intended to be a “first bite” (10%) approach to taking the federal lands. Now a Nevada State Senate resolution tells Congress to transfer 7 million acres+ of U.S. land to state control. This is Senate Joint Resolution one. The debate on this has been contentious with demonstrations against it Carson City and even in Elko, Nevada. The latter has long been a place where the right wing cry of taking the federal lands has been the only word. There was much talk of how bad federal land management is and how good Nevada management will be, but there were no celebratory examples given of the latter because Nevada’s legacy of state lands no longer exists, having been sold off years ago to raise revenues. In Idaho, it seemed legislative support for transferring the federal lands had faded due opposition to the idea in statewide public hearings and academic reports that in almost every scenario (8 out of 9), Idaho would lose money trying to manage the former U.S. public lands. Now, suddenly, the land transfer folks have changed to a new strategy — and interstate compact. Interstate Compact On The Transfer Of Public Lands is the entity that would be created by HB 265, Interstate Compact On The Transfer Of Public Lands. By creating an interstate compact, land transfer proponents might be able to say they have risen to a level above local or statewide public opinion, and also that they must show solidarity with their sister states in advancing the take of U.S. lands. The Idaho Conservation League just sent out an alert about the new bill. Recently in Colorado and in New Mexico, there have been demonstrations in favor of our current, long-standing system of public lands, and Oregon not seen an introduction of legislation to take the public lands, although Jackson County in Oregon is pushing the idea. Given Oregon’s political line-up there will not be serious consideration of taking the federal lands, although Oregon is seeing a contentious controversy about privatizing the Elliot State Forest to make more money and increasing the timber cut from the federal “O and C’ lands. These are very productive timberlands that were given as land grants long ago to build the Oregon and California railroad. When that did not happen the lands were revested to the United States to be managed by the BLM. In Washington D.C. the first budget resolutions for the next fiscal year are being adopted. They are to serve as guides for the actual detailed appropriations that will come at the end of September. Right now Rep. Rob Bishop (R-UT) who is chair of the House Natural Resources Committee is trying to get $50-million in the budget to actually begin the public-lands-transfer-to-the-states maneuver. In Utah the legislature is putting up an amazing $12-million to keep fighting for Utah’s plan to take the public lands. See: Editorial: Utah spends another $12 million on futile fight. Salt Lake Tribune. State lands always wind up for sale to the highest bidder. Giving the states ownership of our public lands guarantees that they will be developed for profit without regard for air, water, soil, wildlife, or human society. This is my worst nightmare, State’s have a terrible record on management. Their management is far more political and much more likely to be controlled by special interest. This sort of wise thinking brought us the dust bowl and rivers that are so polluted they catch on fire. If the American people allow this to happen, they too should be gathered into large groups and sold off for the commodity they have become; a collective of idiots. There must be value there, if only for the composting material. Sometimes words can be deceiving. Just because acres are “available” for oil and gas leasing does not mean they are approved. Except for wilderness, recreation areas and other special areas set aside for protection, technically all BLM administered areas are available for sub-surface exploration. It has been this way at least since 1946 when the BLM was created. FYI, the Obama administration is fighting against any drilling in the National Arctic Refuge. This is important of course – but it shouldn’t mean everywhere else is up for grabs, IMO. It would be tremendously heartbreaking if areas like the Chesapeake Bay and the Outer Banks were ruined due to a massive blowout, and there are still no laws in place to insure safety and protection. We still have to rely on gov’t assurances and their word that they will be safer going forward. What isn’t mentioned is just how much is out of our control. I think it does mean it can be approved. It says the land is there if the energy companies should need it. Why give them the ‘right of first refusal’? I think some of these laws need to be changed and tightened up. A lot of areas ‘set aside for protection’ are being chipped away at. I’d never complain about protecting the Arctic refuge – but I’m getting tired of having that seen as proof of how green this terrible triumvirate is. (Thank goodness there’s only 2 years more to go! )The Obama Administration will have hit a new low it it ever did support drilling in ANWR. Has Sally Jewell ever supported wildlife, to anyone’s knowledge? Only monuments to humanity, one-sided recreational opportunities, and energy development. So now, not only are they available, but they are vast too. And she says that only some areas in Alaska are special enough to protect from drilling. How can the public accept this kind of rhetoric? Care and safety can never preclude human error, weather, and the unknown. I almost want to say she makes Ken Salazar look good. I’m strongly against offshore drilling and the continued use of fossil fuels in general, but at least Jewell seems to be moderate on the issue and is going to bat against those who would like unregulated energy development. Yes, it’s bad when some would take everything and ANWR too! Well, I guess it depends on what the definition of “moderate” is. Frankly, anyone like Sally Jewell who is pushing for oil/gas drilling in the Arctic seas and along the Atlantic Coast from Virginia to Georgia is not “moderate” in my book. I guess since she is not proposing to allow oil/gas drilling on the Washington Mall, we should all be greatful. Rather than returning your sarcasm, I’ll clarify instead. I’d prefer to just call a spade a spade and focus on the rogue backhoe in my yard instead. Sally Jewell has proposed to allow offshore oil drilling in the Arctic seas and off the Atlantic Coast from Virginia to Georgia. I would call that “radical” and a “risky gamble”. — Sally Jewell is hardly “moderate” in taking this action which is openly parroting the desires of the oil industry. Relative to others in DC, and especially, her predecessors (WWGND–What would Gale Norton Do? ), Jewell is certainly a moderate. The fact that you don’t like her actions does not make them extreme. Sec. or Interior Gale Norton (under Pres. George W. Bush) did not even go so far as to call for offshore oil drilling off the Atlantic Coast of Virginia, North Carolina, South Carolina and Georgia. She didn’t have to, Ed–they were drilling where they wanted with impunity. And do recall that this is the woman that invested a lot of time in opening 9 million acres of Alaska to oil drilling, and pushed hard to open up ANWR. Oh! I almost forgot, she recently wrote a letter to the Washington Times criticizing the Obama Administration for not approving the Keystone XL pipeline. I was saying…”Sec. or Interior Gale Norton (under Pres. George W. Bush) did not even go so far as Sally Jewell and call for offshore oil drilling off the Atlantic Coast of Virginia, North Carolina, South Carolina and Georgia.” This is simply a fact. Thanks for keeping folks informed about the issue. Just wanted everyone to know that the Washington State legislature declined to advance two bills this session, one requiring transfer of federal lands to the state, the other creating a task force. There was quiet but effective opposition both within and outside the legislature. Bill numbers were SB5405/HB 1262/HB 1192. Or, more likely, it was just a non-issue in WA, which even on stuff like this is mostly in support of federal lands and the many jobs they create. Mikepost, below, is right. This is just interior West sabre rattling (accompanied with a rally cry). It will amount to nothing, but it serves as an effective platform to communicate with Congressional types, and advance other issues about perceived “unfair treatment,” like ESA issues, resource extraction, energy and water development, EPA non-point source water and air pollution issues. This is happening despite increased support by the general public for keeping the U.S. public lands safe for all Americans. I guess this is where I have questions. What does that mean? Neither Federal or State is keeping the land safe for all Americans. All of the states on the entire Eastern seaboard were sued by the Federal gov’t for the rights to the seacoasts, for what one would assume was uncontrolled drilling for oil, but now includes monstrous wind farms too. You have bad (Democrats) and real bad (Republicans) making our poor environmental decisions. Nothing is being done about climate change – we have more decisions than just uncontrolled drilling and massive wind and solar farms to feed our voracious energy appetites. There’s a lot of ground in the middle that our leaders don’t bother with. Sure, it’s great to save ANWR and I would want that – but other places are special and should be protected too. The tired trope of NIMBY doesn’t work anymore – everybody’s backyard is being intruded upon and destroyed. For most of us, Alaska and Pacific Islands are extremely remote, and we do not want our backyards and oceans continually turned into industrial waste dumps. Note how the most action is in state legislatures, where it has no effect except for the sound made, letting some voters know you are from their tribe. States can’t take federal land. Am I missing something?!? You guys need to get beyond your great basin focus…the rest of the nation, regardless of blue or red, does not support this. I don’t think it is going to get too far anyway, at least in two years. Surely delaying tactics can be employed. 🙂 It’s much too risky – a fantastically bad idea. It’s in a hurricane zone and the Gulf Stream. It’s like asking for a disaster. It’s sad that so many don’t criticize this Administration simply because they are Democrats. Ida: Thank you for this interesting editorial. The same valid arguments against offshore drilling off the Virginia coast can and will be made by the defenders of North Carolina, South Carolina and Georgia. With the military and their contractors against oil drilling off the Atlantic Coast and the oil companies obviously in favor, it will be interesting to watch the politicians who are in the pockets of BOTH the military industrial complex and the oil companies twist themselves into knots. Yes. But what utter chaos for wildlife – sonic navy testing and sonic testing for oil exploration and wind farm siting. Comprising more than one-fifth of the country’s landmass and 1.7 billion offshore acres, U.S. public lands and waters are the source for almost 30 percent of U.S. annual energy production. In addition to providing the backdrop for more and more renewable energy projects, public lands remain a large source for coal, oil, and natural gas. However, these same fossil fuels contribute high levels of GHG emissions to the atmosphere, exacerbate climate change, and have serious implications for U.S. climate policy. I don’t think a lot of the Public understands the concept of Public lands. My husband is pretty attuned to all things politic, but a couple of years ago, and breaking a decades-long tradition of camping in a state forest for $18 a night, we instead headed up to a wild horse management area in Northern California. The campsites were lovely, the neighbors were hunters, friendly and polite. We chose a site, and the husband walks off to put his cash into the kiosk. I have told him many times over the years that these are Public lands – free to anyone hardy and respectful enough to use them. It left him in awe – this beautiful campsite – one of the best we’ve ever had – free to use and enjoy. Everywhere we drove in this nearly 800,000 acre wilderness area could have conceivably been a place to set up camp – for as long as 14 days before we’d have to move along to somewhere else. I wonder if people understand the magnitude of that, that everywhere you travel, there is Public land available for you to enjoy and cherish…absolutely free. It’s aggravating and heartbreaking to think that one of the only resources all Americans actually have equal ownership of could come under state purview and be lost to us. We can count on one hand those things we all currently share ownership of (can YOU think of anything else?) We owe it to each other and our lands to discourage this rigorously, and at very turn.